Victoria West High School freshmen Cameron Buchhorn, left, and Bella Zeplin, center, work with Christian Okwuchukwu, a UHV graduate computer information systems student from Nigeria, on May 8 to adjust the sensors on their robot. The high school students are two of 12 who took the university’s afterschool robotics course during the spring. Cameron Buchhorn and Bella Zeplin carefully examined each element of a diagram displayed on their computer on May 8 in a University of Houston-Victoria computer lab. The Victoria West High School freshmen were working together to create a program that would tell a robot to use its sensors to follow a solid black line. Cameron and Bella were two of 12 high school students who participated in after-school robotics courses hosted by UHV and funded by a grant from Alcoa Foundation. The weekly course allows students to learn how to build and program robots to fulfill certain functions, such as solve mazes, recognize colors and follow a color-coded path. 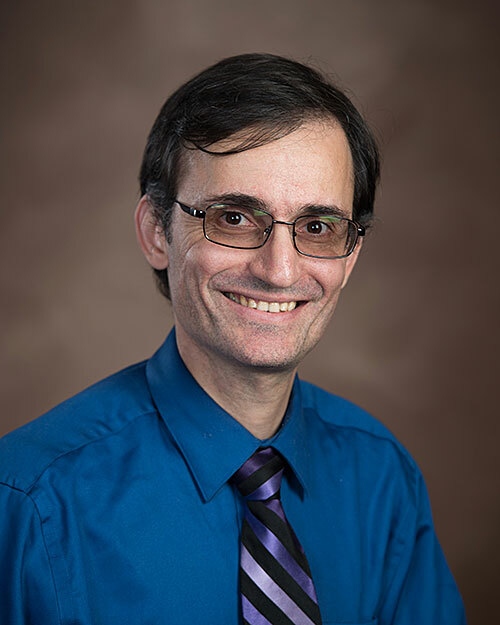 The class is led by Alireza Tavakkoli, director of the UHV digital gaming and simulation program and an associate professor of computer science. Bella first had the opportunity to work with robots when she attended a Victoria College program called VC Prep that focuses on teaching middle school students about science, technology, engineering and mathematics and the various careers students can pursue in those fields. After attending the program, Bella decided she wanted to pursue a career in nuclear engineering, and the programming knowledge she’s gained in the UHV robotics class will help her as she works toward that goal. Robots have always been interesting to Cameron, and he was excited to get the opportunity to work with them and learn how they work. One day, he plans to become a mechanical or chemical engineer. 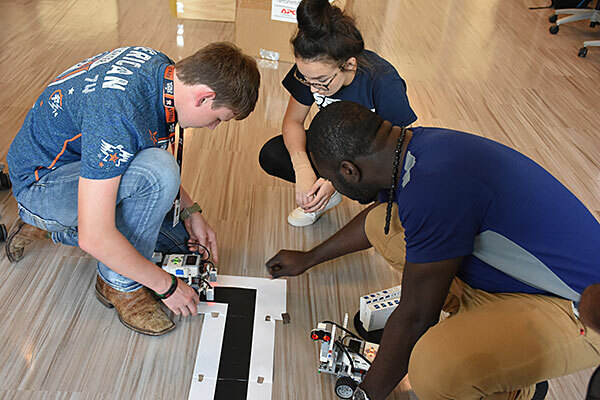 In addition to the class, the grant from Alcoa Foundation allows UHV to offer a robotics summer camp, a math camp and a Math & Robotics Awareness Day that allows students to learn about the uses of math and robotics in multiple fields. To apply for the robotics summer camp, go to hsrobotics.aiatuhv.com.